It is not only you who suffer, rather those, who are related and dependent upon you, are the real sufferer. Well, I am talking about the viciously spreading habit of drug abuse. 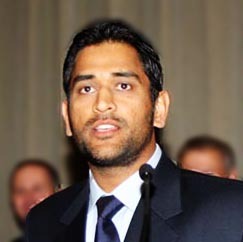 Mahendra Singh Dhoni aka Mahi, the successful captain of Indian Cricket Team, was born on 7th July 1981 in Ranchi (in Jharkhand now), India. Dhoni has been one of the coolest captains of Indian Cricket Team and under his captaincy the India won ICC world cup (twenty-20) 2007, CB series of 2007-08, besides beating Australia by 2-0 in Border-Gavaskar Trophy in 2008. Astrology readings of Mercury conjunction with planets. Mercury + Sun: This is the most common conjunction observed in many horoscopes. The person may be polite, famous, intelligence, strong and beautiful. He/she may have favors from the Government and Politics; and can be a good assistant. Mars + Sun: The conjunction of the Sun and Mars in the horoscope makes a person extremely courageous, strong and high-spirited, If the conjunction is in negative and/or weak house – the native may be violent and short-tempered. Moon + Sun: The conjunction of the Sun and Moon in the horoscope of a person makes him vulnerable to get enchanted very easily. He/she may not be polite. The person may have good knowledge and understanding of metals and chemicals. This conjunction also makes a person reasonably wealthy and he/she may have good financial gains in trading of natural products. Sun + Moon: The conjunction of the Sun and Moon in the horoscope of a person makes him vulnerable to get enchanted very easily. He/she may not be polite. The person may have good knowledge and understanding of metals and chemicals. This conjunction also makes a person reasonably wealthy and he/she may have good financial gains in trading of natural products. In proper astrology readings, the operating Dasa or Main/Sub Periods in Birth Chart Astrology is of as much importance as the Birth Chart itself. This is so because the results of all good or bad combination in the birth chart can appear only in the main/sub periods of relevant planet(s). As per birth chart astrology readings, the planets give the results attributed to them either in their own main/sub periods or in the main/sub period of planet(s) with whom they are related with. And, many times it does happens that despite having excellent planetary position and/combination for specific aspect like wealth, fame and prosperity etc. the native may not have any such results. This is simply because the Operating planetary period may not be having any direct or indirect relation with the planet(s) creating auspicious yoga or combination in the birth chart. In order to have absolute clarity on this issue of astrology readings, let me site one beautiful example to help you understand it in a better way. Astrology readings example Birth Chart -1 : This is the chart of famous Indian Celebrity Mr Amitabh Bachchan. This time I am attempting to analyze the chart of a caged Lion, the Dabangg of Bollywood. Yes, you guessed it right; He is none other than Abdul Rashid Salim Salman Khan aka the Great Salman Khan.